Volunteer Services is collection items to be used by adult patients, as part of the patient activities program. 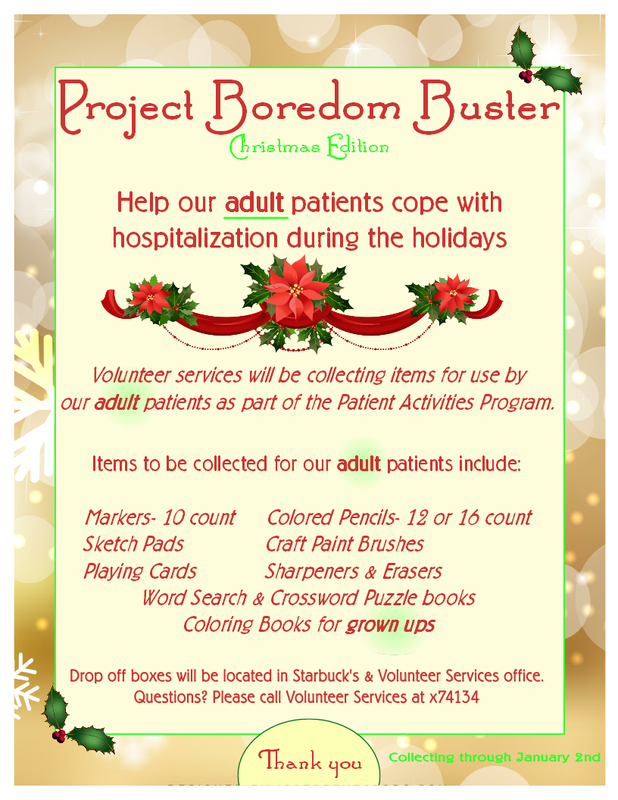 Sketch pads, playing cards, crossword puzzles, and other items are being collected for Project Boredom Buster. View the flyer. Drop-off boxes are located at Starbucks and the Volunteer Services Office at J.W. Ruby Memorial Hospital. Employees with questions can contact Volunteer Services at 74134.